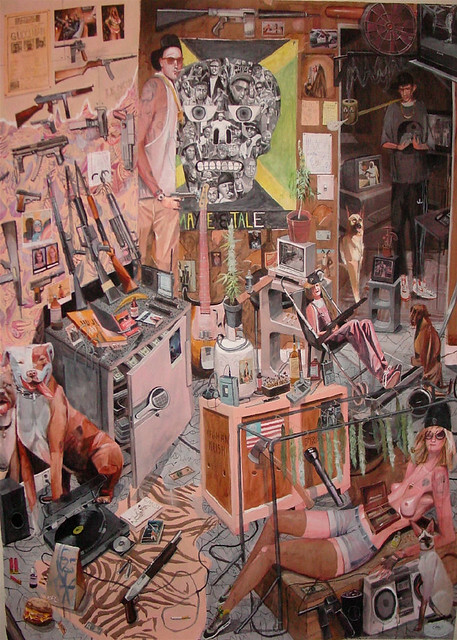 The Cave, 2009, 86.5 x 114.5 Inches, Gouache and Ink on Paper. 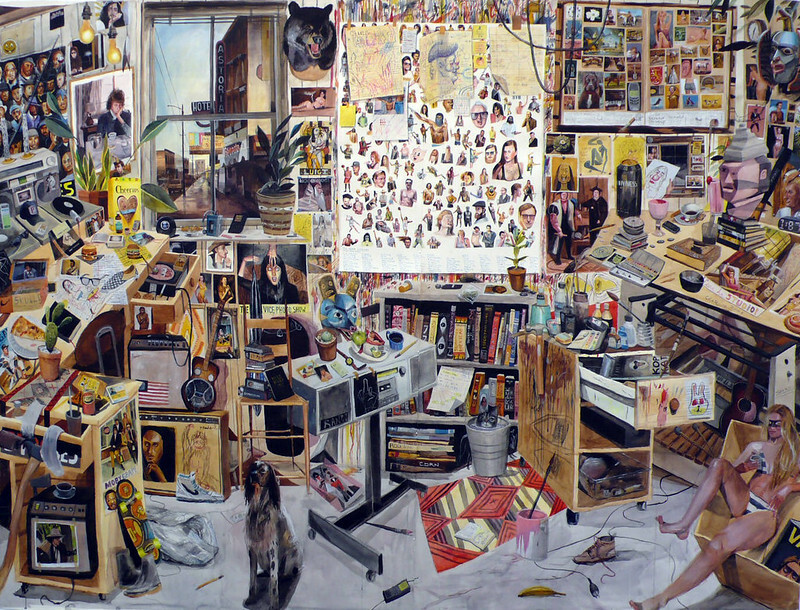 Fourth Street Flop, 2010, 84 x 60 Inches, Gouache and Ink on Paper. 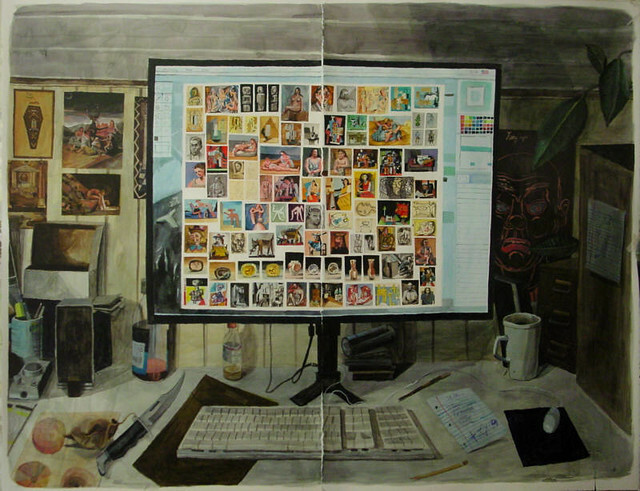 Midnight Architect, 2009, 39 x 27.5 Inches, Gouache and Ink on Paper. 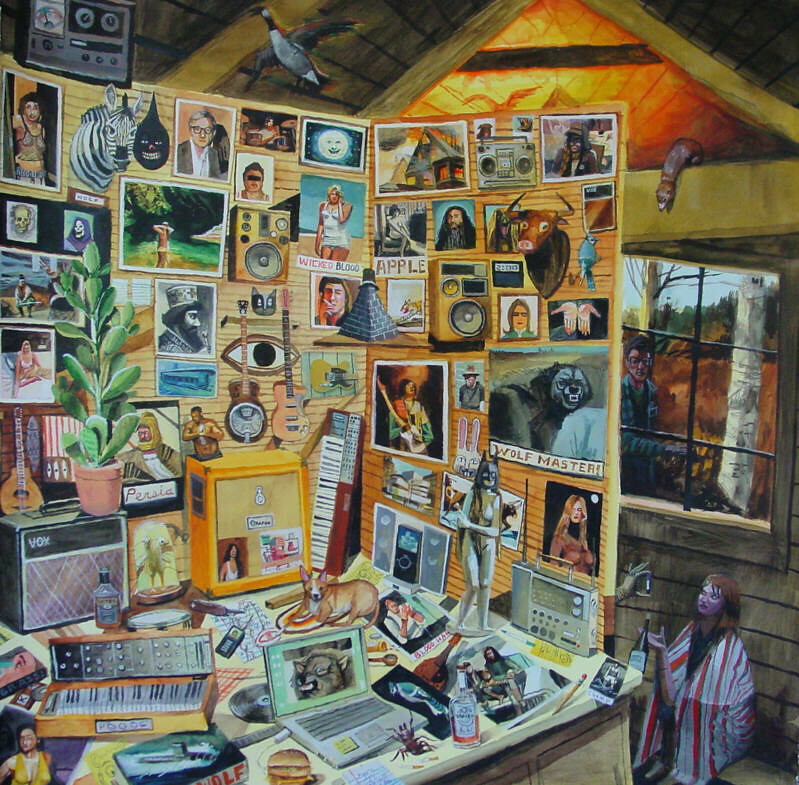 Desktop Boogie, 2009, 40 x 50 Inches, Gouache and Ink on Paper. 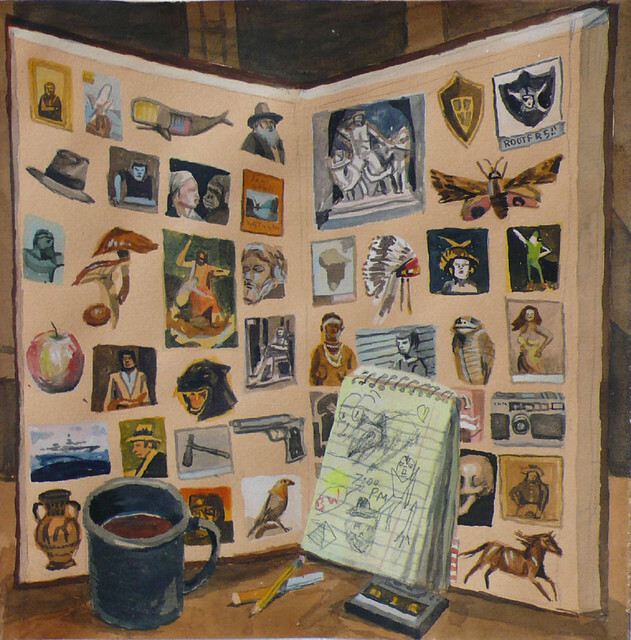 Clutterbug, 2009, 20 x 20 Inches, Gouache and Ink on Paper. 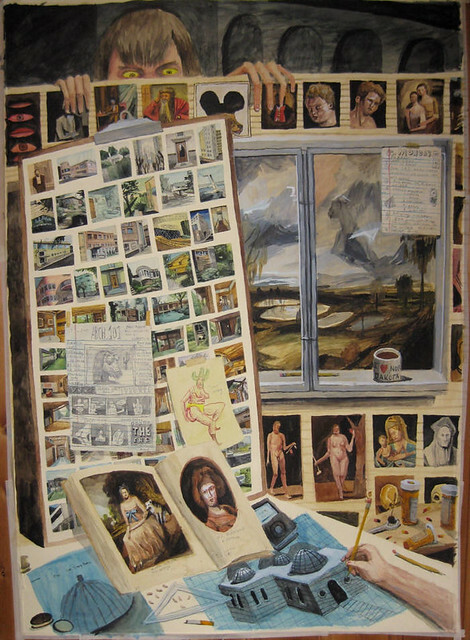 Untitled (salon with notepad), 2009, 8.25 x 8.25 Inches, Gouache and Pencil on Paper.